If you use Yahoo Mail, you may use the "themes" to enhance your background or personalize your mail. They have all sorts of generic clouds, rainbows, etc. But recently, they started using peoples images on Flickr, which they own. (Flickr, not the pictures). They wanted to use it. I gave them permission. And now, if you use Yahoo mail, you can use it as a background. Note: To get the background on your iphone/pad download the yahoo mail app. The themes button is at the bottom of the left hand menu. The rest of the pictures that they use are curated here. I might be a little bit proud. A little. 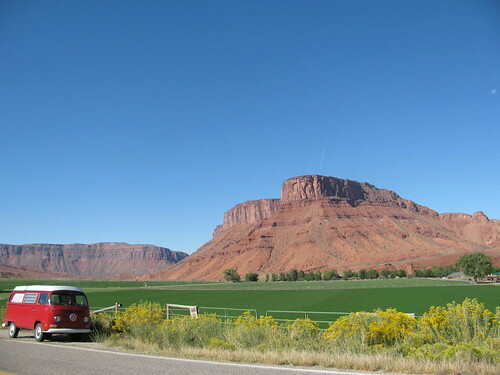 And in case you want to know, Hwy 128 outside of Moab in Uath, near Castle Creek. Also, no editing, that's the raw image. It was a good day.